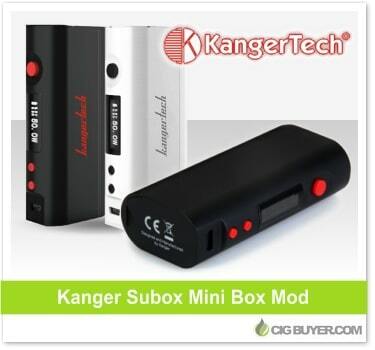 One of the hottest products of 2015, the Kanger Subox Mini Kit includes the 50W Kanger Kbox Mini Box Mod and a matching Kanger Subtank Mini tank. Up until recently it was only sold as a kit, but now you can purchase the Kbox Mini all by itself; in either black or white. Powered by a single 18650 battery, it fires up to 50W with a minimum resistance of 0.3 ohms and includes a bright OLED with magnetic battery door. It definitely looks sweet, our only complaint is the easy-to-chip paint, but silicone sleeves are available. Kanger Kbox Mini Platinum Mod (60W) – Only $26.97!